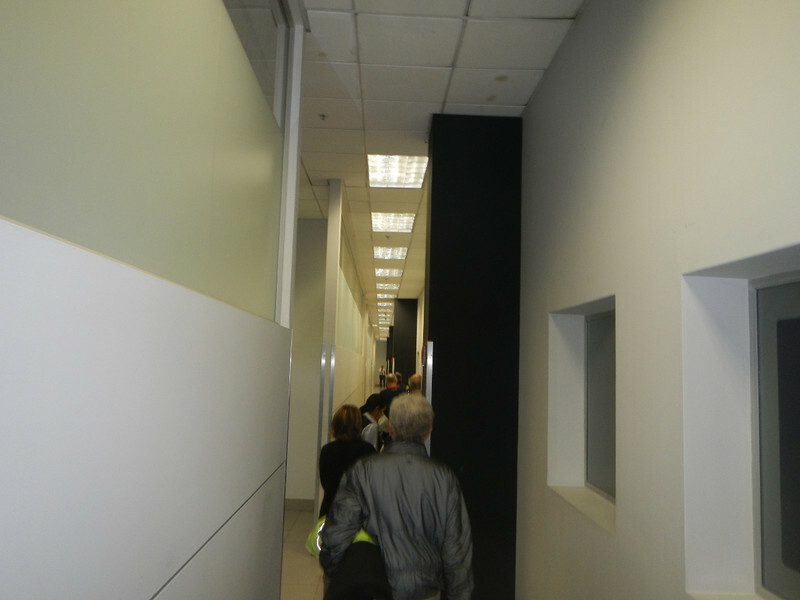 It started down a long hallway. Get some papers, get some copies, stand in line here. Dodge trucks waking across this parking lot to the Auduana office to get a form to bring back to the first office. Wait in this hallway for a while. Back across the parking lot to Auduana to wait for a really long time in this office while four women worked on our vehicle import paperwork. Back to the warehouse to wait before finally getting our bikes released and set free. The last step was to descend the OSHA approved (not) ramp. 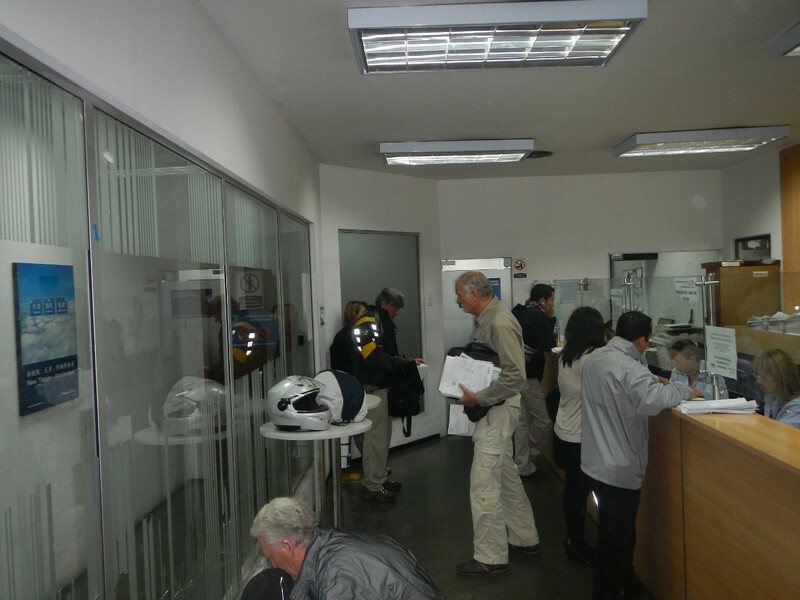 Finally free we rode through the chaotic streets of Bogota to the BMW dealer, Bogota Autogermana. 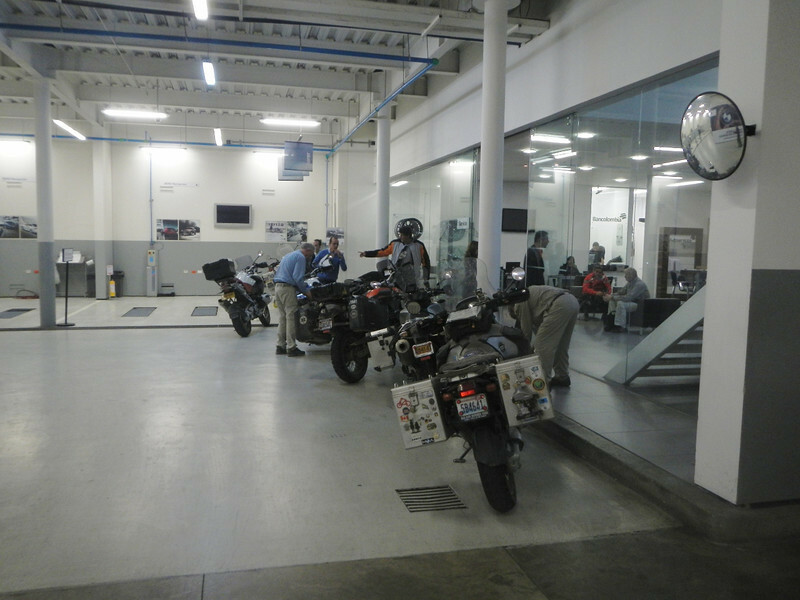 Many thanks to the crew at Autogermana for all their help, especially Gustavo and Edgar who went out of their way to get the bikes serviced in record time. They have beautiful dealership that sells both cars and motorcycles. 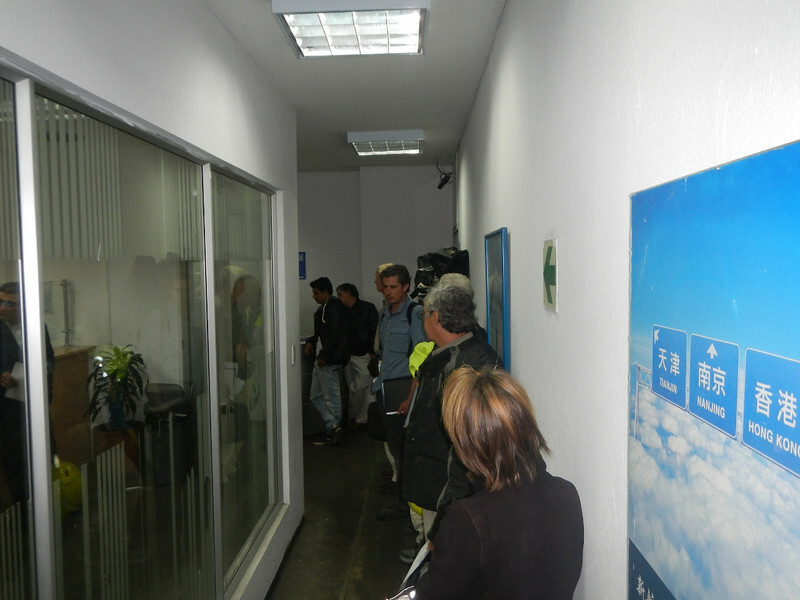 We were welcomed into the spacious service area. The bikes were dropped off late Monday afternoon and we were told they would be ready Wednesday by noon. 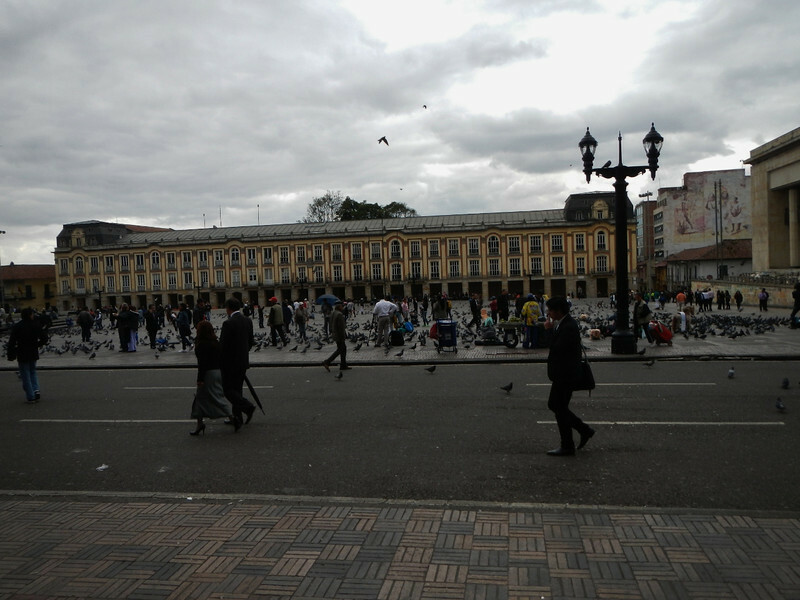 That gave us another free day in Bogota that we decided to use to visit the historic downtown section. One of the highlights of the day was a visit to the Gold Museum. 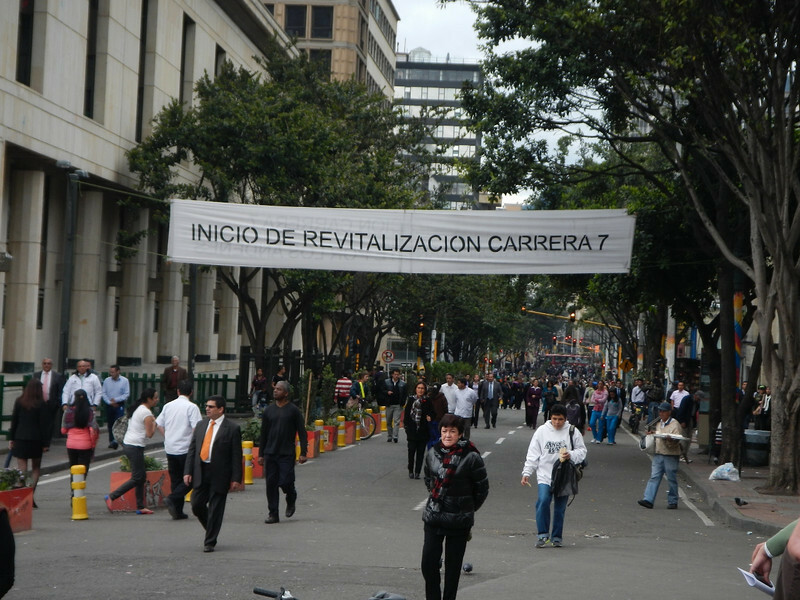 After lunch we explored Carerra 7, one of the main streets that was closed off to traffic to allow for a large pedestrian mall. It was packed with people. We checked out Bolivar Plaza. 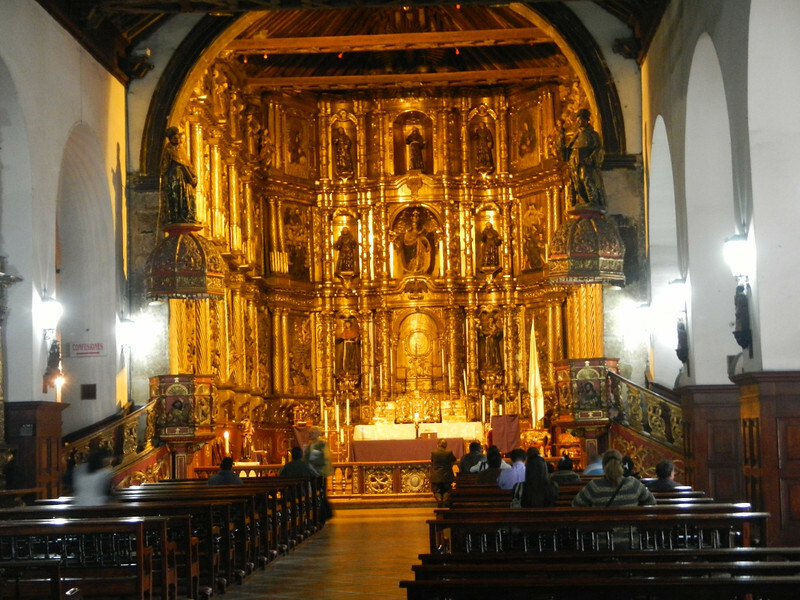 Visited some local churches…. yes, that is real gold, wow! 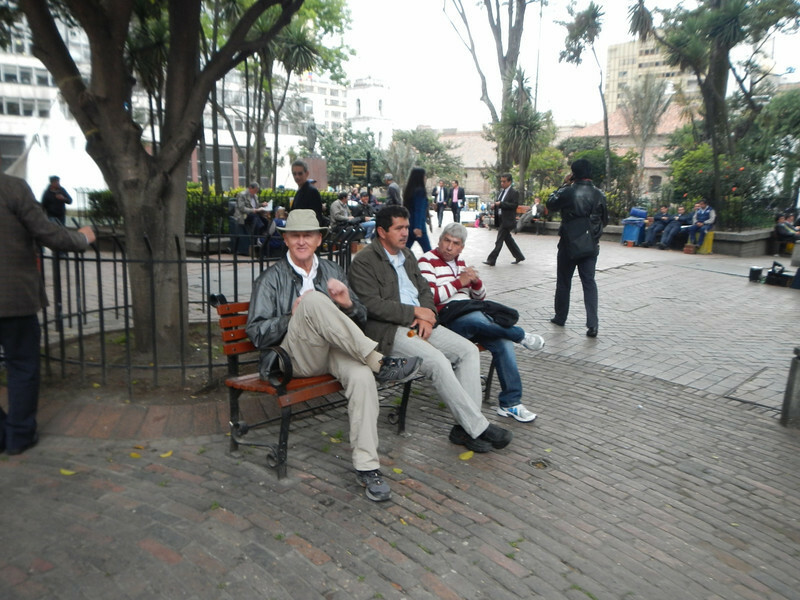 Here is Keith fitting in with the locals. At the end of the day we caught a cab back to Charlies Place where we spent the evening with friends of Dave from the local Mercy Corps office. 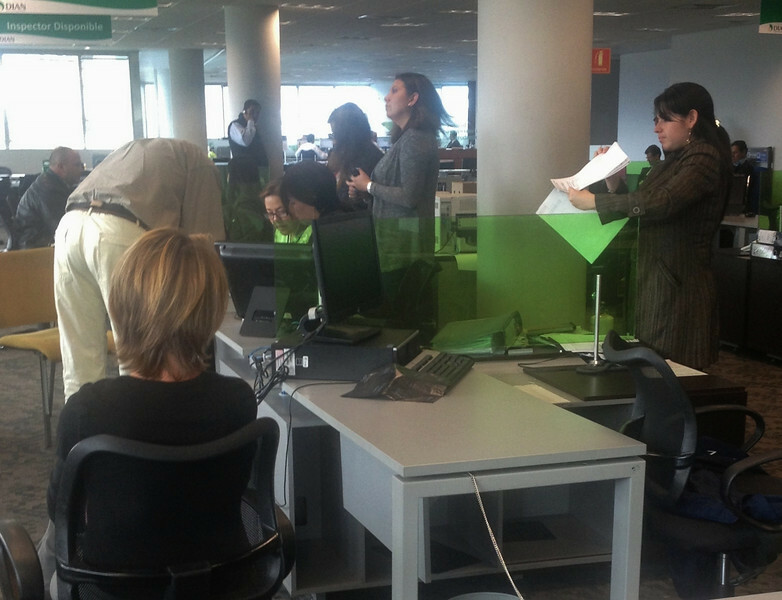 A fun and dedicated group of people who sincerely are working hard to make a difference in Colombia. My hat (or helmet) is off to them. 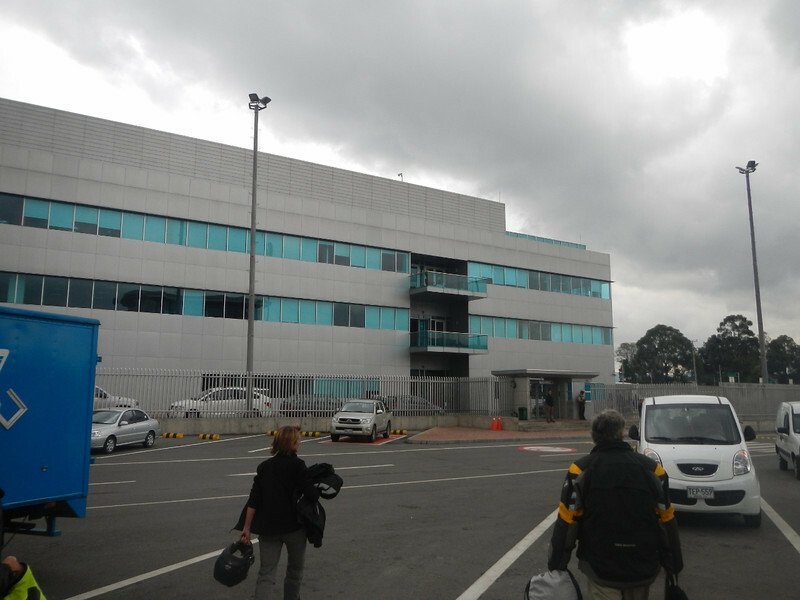 We did finally leave Bogota. The next post will be back to the ride! 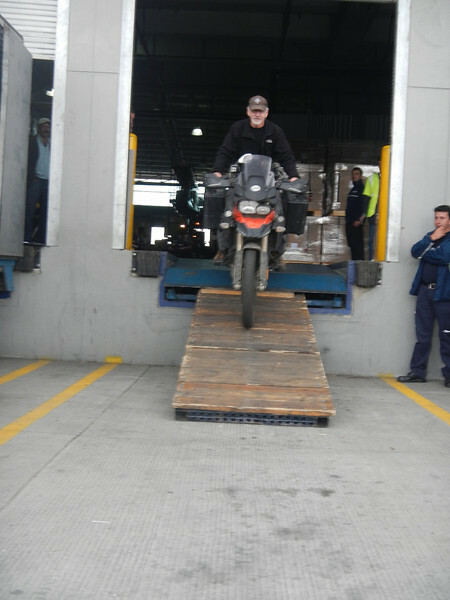 This entry was posted in 2013 Colombia, 2013 Motoraid II, Motorcycle Adventure by donnh. Bookmark the permalink. How fantastic. I love the pictures and your adventure. 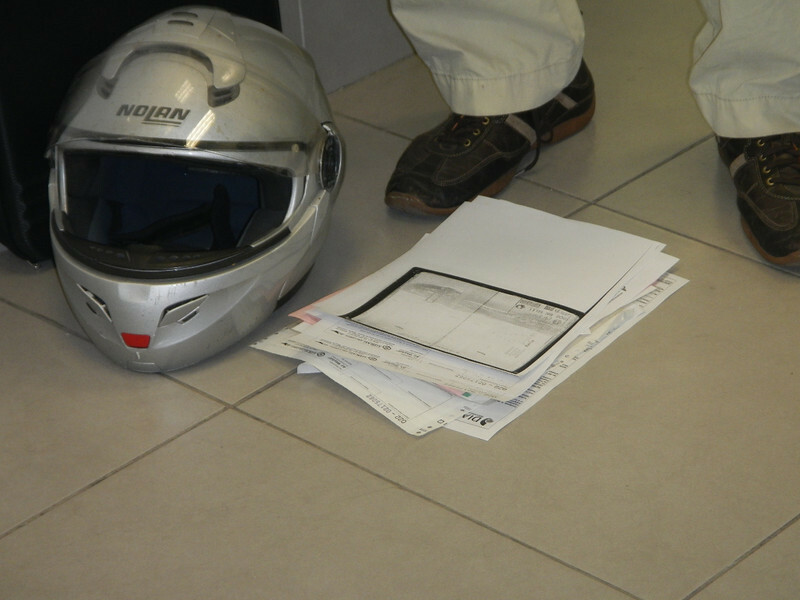 I wish you didn’t hve to go through all the paperwork over and over again. It’s gotta take it’s toll on the enjoyment of this adventure. I’ll have to settle for riding in the USA. Be safe and enjoy every moment. our new name for Donn is The Aduana Iguana! Is it possible you have gained an appreciation for our DMV, or is that going too far?? Funny, we’ve had that discussion down here while sitting around waiting. I’m not sure of the answer, I almost hate to admit the DMV might be more organized.